It is no work, no rank for hill Trinamool Congress leaders holding portfolios, as the party gears up to take on the Gorkha Janmukti Morcha in the upcoming municipality and Gorkhaland Territorial Administration elections. 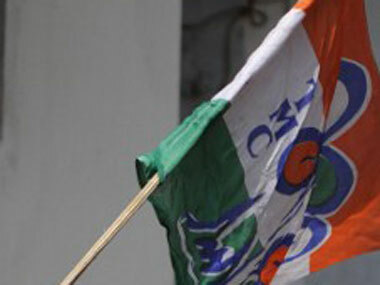 Having tasted bitter-sweet defeat in the hills from the GJM in the 2014 Lok Sabha and the state Assembly elections, the hill TMC leadership is wary of a possible backlash from the high command in Kolkata in the event of another rout. “We just cannot keep losing elections. The party high command in Kolkata has expectations from us and we will have to deliver. Therefore, from today we are going to take drastic measures within the party,” said Rajen Mukhia, the hill TMC president, who on Thursday was re-elected for the second consecutive term. In the 2014 Lok Sabha election, TMC candidate Bhaichung Bhutia lost to the BJP’s Surendra Singh Ahluwalia, who was supported by the GJM, by more than one lakh votes. Similarly, in the Assembly election earlier this year, TMC candidates from Darjeeling and Kurseong constituencies lost to the GJM, although the margin of victory was narrower. On Thursday, TMC chief Mamata Banerjee announced in Siliguri separate committees of the party for the hills and plains regions. Gautam Deb, the state tourism minister, was made the president of the plains committee. Meanwhile, Mukhia said, “It is an honour and a huge responsibility to be made the president for a second term. I thank Didi for appreciating and recognising my sincerity in running the party in the hills. I will try and live up to the expectations of the party leadership." Today, the hill TMC president held a meeting in Sukhaypokhari near Darjeeling and asked party leaders there to form a new committee with a strong leadership. “I have made it clear that leaders holding portfolios and staying at home and working will not have it easy. They will be stripped off their rank and will have to be satisfied with being a general member of the party,” Mukhia warned, adding he had asked the Sukhaypokhari unit to form a new committee within a week. “We will hold similar meetings and form new block committees in various municipality and panchayat areas and conduct fresh membership drives. We will also constitute the district committee within a week and send it to Kolkata for approval,” Mukhia said. Mukhia, who will be in Kolkata tomorrow to attend a meeting of district presidents with Mamata, said he was hopeful that elections to the two-tier panchayat in the hills would be held at the end of this year. “We are hopeful that by October-November, the two-tier panchayat election will be held. We will contest the panchayat, municipality and GTA elections,” he said.